Dolores Huerta Foundation--English from Nueva Vista Media on Vimeo. 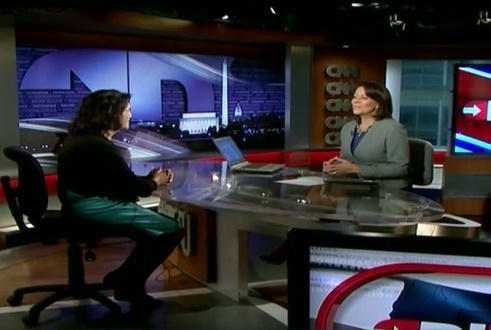 Durante la entrevista, Dolores Huerta dijo que la fundacion esta recolectando fondos y buscando organizadores, y les enseña como organizarse para realizar acciones colectivas grandes que se requieran en su comunidad. In this official White House video, Dolores discusses her work and receiving the Presidential Medal of Freedom. The Latino community knows not to turn its back on its family members and not to put them out despite who they love. 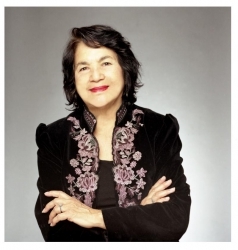 President Obama honors the Presidential Medal of Freedom recipients, including Dolores Huerta. 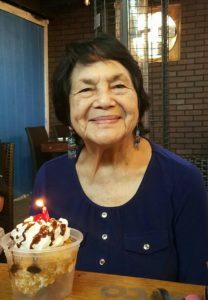 Celebrate Dolores Huerta’s 88th Birthday 4/10/18! Today, April 10th 2018, Dolores Huerta celebrates her 88th year of life and continues her lifelong legacy of social justice. The first 88 people to donate $88, or more, will receive a commemorative mug and a photo of Dolores. Anyone who donates $888 dollars, or more, before the end of the year (12/31/2018) will receive a commemorative mug, a photo of Dolores, a personalized video message, and a signed DVD or Blu Ray copy of “Dolores” the critically acclaimed documentary about Dolores’ life – produced by Carlos Santana and directed by Peter Bratt. You can make another wish come true by registering to vote and voting in every election! 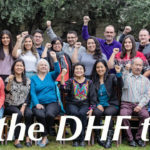 ORGANIZATION OVERVIEW: The Dolores Huerta Foundation is a non-profit organization inspiring and organizing communities to build volunteer organizations empowered to pursue social justice. POSITION: The DHF seeks to hire a Service Center Coordinator responsible for setting up and maintaining Vecinos UnidosService Centers in Sanger and Arvin, California to provide needed services and resources such as translation, notary public, expungement applications, and referrals for a low fee. Locate and procure appropriate facilities to house Service Centers in areas where Vecinos UnidosChapters are located. Currently in Kern, Tulare, and Fresno Counties. Research local services being provided in each area. Establish collaborations with local agencies and organizations. Establish and coordinate referral networks. Establish and maintain partnerships with local colleges and high schools. Set up service centers in collaboration Vecinos UnidosChapters. Establish protocols and procedures for providing services. Recruit, train, and supervise volunteers to staff the service centers. Track and report funds collected on a weekly basis. Support and contribute to DHF’s organizing and membership recruitment efforts. Utilize DHF’s database and business management software. Submit weekly and monthly progress reports. Location: Arvin or Sanger, CA, some commuting to DHF headquarters in Bakersfield. Include “Service Center Coordinator Application” in the subject of your email. We appreciate all you do to work for justice. We are proud to stand with you in expanding the organizing power of our communities to make real and lasting change. We hope you’ll take a moment to read our Weaving Movements Newsletter and find out about all the gains the Vecinos Unidos (Neighbors United) have made by engaging with school boards to push for education reform to achieve better academic outcomes for their children, in advocating to local elected boards to demand fair and just representation, and increasing voter participation in the 2018 Midterm Elections. 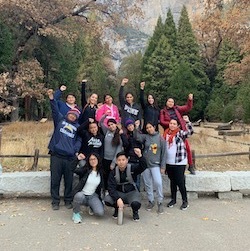 We held our first Annual Vecinos Unidos Leadership Conference, bringing together youth and adult leaders from the nine Vecinos Unidoschapters in Kern, Tulare, and Fresno counties. We are pleased to share the launch of our Youth and Family Civic Engagement Initiative (YFCEI) in partnership with Martin Luther King Jr. Freedom Center. We are developing the leaders of the future. These young people are learning about civic institutions, public speaking, and developing an understanding of meaningful leadership and self-expression through art and poetry and hands on civic engagement opportunities. 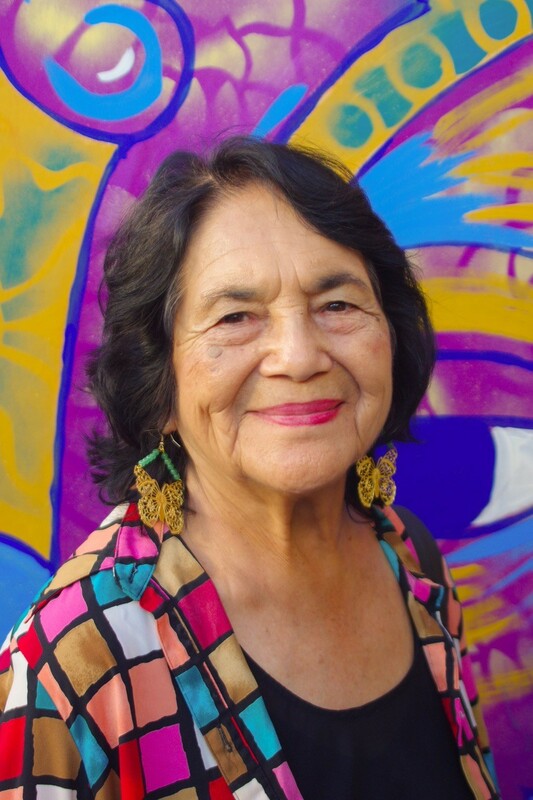 Governor Brown has declared April 10th Dolores Huerta in the state of California. We hope we can count on you to help us make this a day that extends beyond California to inspire people to learn more about the power of grassroots community organizing and to volunteer in service of their local communities. We share our excitement and gratitude with you as we celebrate 15 years of organizing communities to pursue justice and look hopefully towards the future!